The Maryland State Highway Administration (SHA) is temporarily closing lanes next week for nighttime resurfacing along north and southbound MD 355 (Rockville Pike) between South Drive and Jones Bridge Road in Bethesda. Beginning Monday night, August 6 crews will close one lane in each direction of MD 355 at 7 p.m., then two lanes weeknights at 10 p.m. All lanes will be open to traffic no later than 5 a.m. daily. Weather permitting, the project should be complete by the end of August. The work is being performed as part of the utility relocation contract in Bethesda for BRAC improvements. SHA encourages motorists to plan for extra commute time to avoid construction delays. Approximately 49,000 vehicles use this heavily-traveled MD 355 corridor each day. 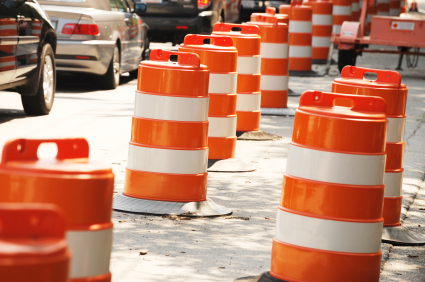 Arrow boards, construction barrels and flaggers will direct motorists through the work zone. As crews work to keep work zones safe, each driver needs to actively modify his or her driving style to help prevent crashes. Stay alert – look for reduced speed limits, narrow driving lanes and highway workers. Slow down and don’t follow too closely. Safer Driving. Safer Work Zones. For Everyone. Maryland now features FREE 511 traveler information! Call 511 or 1-855-GOMD511 or visit www.md511.org for current travel information. Sign up to personalize travel route information through MY511 on the web site. Remember to use 511 safely – Maryland law prohibits hand-held mobile phone use and texting while driving.